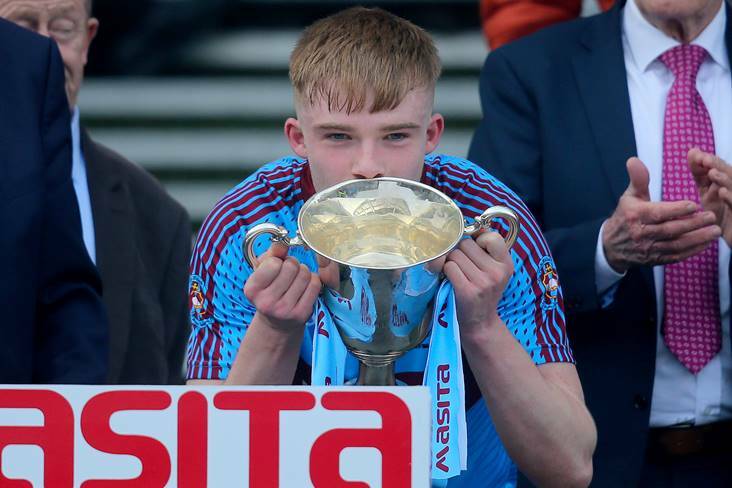 St Michaels, Enniskillen captain Brandon Horan lifts the Hogan Cup after the All-Ireland PPS 'A' SF final victory over Naas CBS at Croke Park. ©INPHO/Oisin Keniry. Davy Russell dedicates his #GrandNational win to former Cork footballer Kieran O'Connor, who is currently battling cancer. A classy gesture from a classy man.